The value of law reviews to judges « Hercules and the umpire. Judge Harry Edwards is a distinguished jurist, and he was a distinguished practitioner and then a highly regarded law professor at Michigan. He has long been known for his criticism of law teaching as focusing too much on the obscure and the theoretical to the exclusion of doctrine and practice. See Harry T. Edwards, The Growing Disjunction Between Legal Education and the Legal Profession, 91 Mich. L. Rev. 34 (October, 1992). I am not advocating a return to the narrow-minded, provincial doctrinal scholarship that Professor Rodell singled out for criticism. My hope is that law schools will lead the way in valuing the work of all good scholars, those who write articles focused on professional practice, procedure, doctrine, legislation, and regulation, as well those who focus on theory, philosophy, and empirical studies. The law schools and law reviews should consider seriously Professor Rodell’s view that “law is supposed to be a device to serve society, a civilized way of helping the wheels go round without too much friction.” If the status quo remains, our profession may find itself criticized for merely “diddling while Rome burned.” Professor Rodell’s memorable phrase is as apt today as it was when he wrote it in 1936. My focus in this post is on law reviews as opposed to law teaching more broadly. With that said, I am in general agreement with Judge Edwards. Most of the time, most law reviews are not helpful to most judges and most practitioners. Almost 20 years ago, after a lot hard work and in celebration of the 75th anniversary of the Nebraska Law Review, I studied the impact of the Nebraska Law Review on the Nebraska Supreme Court over a span of 25 years. I found that over that period, the Nebraska Law Review had little apparent impact upon published opinions of the Nebraska Supreme Court whether measured quantitatively or qualitatively. In response to that finding, I made a detailed suggestion about how that law review might become more valuable to judges and practitioners. See Richard G. Kopf, Do Judges Read the Review? A Citation-Counting Study of the Nebraska Law Review and the Nebraska Supreme Court, 1972–1996, 76 Neb. L. Rev. 710, 734-736 (1997). Stripped of the details (which can be found in the article), I suggested the creation of an editorial partnership between student law review editors and judges whereby judges might play a much more significant role in the selection of some fixed percentage of the articles published each year. I continue to think that is a good way to bridge the practicality gap. *Professor Michael Dorf has written a particularly pointed critique of Judge Edward’s essay. See Michael Dorf, Judge Harry Edwards Is Still Unimpressed With Legal Scholarship, Dorf on Law (December 15, 2014). You should read it. I agree. I’ll keep specifics on this to a minimum to avoid identification, but I had a law student friend who wrote an article on a theoretical framework for dealing with automated drones. It was brilliant, and provided practical guidance in how to implement it. After reading it, I was convinced that the scholarship and writing was rock-solid. I would have published it in a heartbeat. But it took my friend two years to find someone to publish it. Not even the journal this student was on would do so, because they had a policy of not publishing student works in that manner. I can’t explain the others, maybe this student was not prestigious enough or something. I don’t know. He finally got it published in a minor, obscure journal. I strongly suspect that it got the student his current job, but why should should it only benefit the student? Why couldn’t larger journals have published it and thus made it more accessible, instead of publishing the latest in a spat between different breeds of originalists? I think your idea would bring much-needed common sense to the journal process. There are benefits to having robust law review journals. One useful purpose is to explore areas not yet reached in any cases, or reached but resulting in bad law. It can be more efficient than waiting for exact cases to right a particular wrong … like humor (“Humor is truth, only faster.” – Gilda Radner). Nevertheless, Dorf makes sense as does Judge Edwards. Like cases, a law review article’s benefit depends on the facts and law involved on an article by article basis. The old style tended not to be read but cut and pasted so if law reviews are not being read I doubt that much has changed. Wonder if the result would have been the same if our Judge had been less partisan and looked at CU L Rev. I had two articles adopted by Ne S CT.which instantly ended the life of the articles. Not the way to buld a career. Judge If you can find it Rodell’s Nine Men still sets the standard for disrespect of SCOTUS. He wrote a once infamous artical in NYT Mag. on Harvard Law in which he seemed to know the name of any Harvard Law grad who had not gone to jail. I did look at Creighton as the article thoroughly discusses. Indeed, I spent much time discussing the impact of that review in comparison to the Nebraska review. I received an unkind note from one of the professors at Creighton because of a footnote. Otherwise, the Creighton professors that I highlighed in my article were, I think, pleased to have their scholarship noted and complimented. Guess I should have read the Ne L Rev but I was off studying hermeneutics. On the other hand my ignorance proves I did not write the unkind note. “Over one-quarter of all federal criminal prosecutions and a large number of state cases involve prosecutions for conspiracy. (Conspiracy Theory, 112 Yale L.J. 1307 (2003)). The writer, at least as quoted, did not distinguish between 18 U.S. Code § 371 conspiracies that require an overt act and 21 U.S. Code § 846 drug conspiracies that require no overt act. I expect a full throated explanation from Yale in the coming months! Anyway, these are the things that make law reviews worth my time. I don’t despise theoretical law journal articles, but they need to have some practical purpose for them to be valuable to me. Am I asking too much? Judge Harry T. Edwards was one of my law professors at the University of Michigan shortly before he became a judge on the D.C. Circuit. He has an excellent combination of experience as a judge, a law professor and a practitioner. Thus, his perspective on law reviews is well-founded. I agree with Judge Edwards and very much appreciate his continuing interest in the role of legal education and the efficacy of law reviews. ,the long passage concerns criminal law in general not federal criminal, the hypo does not say that the bank had a federal connection. While it may be an overreach to try to write about criminal conspiracy in general, most casebooks and texts for students do deal with that weird place general law andfor that place not bad. Judge what you and Anonymous want is out there but it will be in different reviews at different time, but many of the revs. have on line editions and most articles can be reached on a computer. Means most reading must be done on line or in a library. The specialty revs.like Tax Law stuff is a different matter. Part of the problem is proliferation of revs. and part is US News which makes all schools pretend they are in the first tier. If you want to have a good reputation your not going to go far if you pitch your law rev. to lawyers and judges of NE or ND.and do not forget tenure and need for letters from outside raving about your scholarship which means writing to look like everyone else. That would be both federal and state criminal conspiracies. But the passage is about conspiracy in general, my point. Edwards and Roberts re=mind me of an old joke. A Drake graduate died and arrived at the gates of heaven. St Peter began the entrance exam, and at some point the departed admitted she had been a lawyer. Asked where she had gone she responded Drake. St Peter asked if that was a first tier school, and the dead lawyer confessed it was not. Come in then said St Peter, you were never lawyer enough to matter. I like Prof. Dorf a lot but I think he comes up short here. His primary focus is on Judge Edwards’ lament about “intensely . . . empirical” articles. Dorf disagrees with lumping empirical work in with theoretical and philosophical work. He further disagrees with the idea that empirical work can be abstract to begin with. So Dorf is pitting abstraction against concreteness. As such, says Dorf, if Judge Edwards wants less abstraction, he should welcome more concreteness, or in other words, more empiricism. But that misses Judge Edwards’ point. Judge Edwards, it seems to me, is pitting abstraction against usefulness, not concreteness. In so doing, he is, to be sure, disagreeing with the idea that concreteness equals usefulness. But he is not generalizing about the usefulness of empiricism. He is simply saying that empirical work, like philosophical or theoretical work, can be too abstract to be useful. So is that right? Can scholarship actually be so empirical (i.e., doggedly concrete) as to be abstract? Just for fun, I hopped on the Web site for the Cornell law review (Professor Dorf teaches at Cornell). There I randomly, not cherry-, picked the following article from the current volume of the review: “Finding Order in the Morass: The Three Real Justifications for Piercing the Corporate Veil”. Good start. Veil piercing doctrines are almost universally viewed as incoherent, so an article offering some clarity and maybe a normative thought or two could benefit many. I’m not saying this isn’t important or useful or truly laudable work in some context. 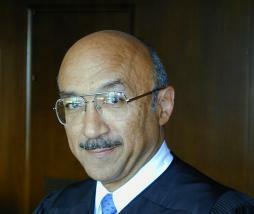 But as to whether its helps judges judge or lawyers lawyer, Judge Edwards may have a point. What, after all, is anyone to do with the above in a courtroom? I have a tendency to dislike people who are way smarter than me. The problem is that my dislike includes most everybody. Your analysis makes me think you should write this blog. You have illustrated an important fault in Dorf’s critique that I wished I would have written. For some reason, I don’t dislike you for being smarter than me. Just envious. Thanks for your serious engagement. All the best. Julian As I recall from my youth sampling evidence must be ample in kind and sufficient in quantity to have evidentiary value which your sample is not. Judge may be excused, kind of things DJs knew in old 3 judge ICC appeals. Van Pelt wrote a great opinion on it but I can not remember the cite. Slowly fading away. Haha, thank you Judge. I’ll keep this bookmarked so I can come back to it for comfort after all the inevitably dumb and ill-conceived things I will say today and everyday, here and elsewhere. Granted, the one “yes” has to be correct (verifiable, repeatable, so on and so forth), and I would by no means swear that my skimming of the article I cited led to a correct answer (though I think it did). And I agree with what I take to be your implicit critique that the more interesting question is whether some significant number of law review articles are too empirical so as to be abstract (who cares if it’s possible to be too empirical if only a few are). And to answer that question, of course, we would need real statistical sampling (and, I imagine, a definition of “abstract” that doesn’t invoke Justice Stewart… and the difficulty in conjuring one up may offer some insight into why empiricism in legal doctrine might sometimes be more problematic than advertised). All of that granted though, I just wanted to push back on Professor Dorf’s premise that empiricism is, by definition, the opposite of abstraction. Julian, The authors were attempting to use statistical analysis to show that the models of judicial conduct they formulated were not coincidental. Lawyers who are good at statistics might be more convinced that models could be used in formulating evidence and arguments. Poor souls. like me skip those parts. Poly sci and financial econ types also read law reviews, they may understand. You may be right about Dorf. In this context without examples I am not sure what empirical or abstract mean in this context. You raise another good point. I am not good at statistics but I wholeheartedly agree that statistics can and do (everyday) play an important role in formulating evidence and arguments. I think what Judge Edwards was getting at, though, was simply that too much of legal scholarship seems to treat empiricism as an end in itself rather than a means.